This is a new stall in this coffee shop. 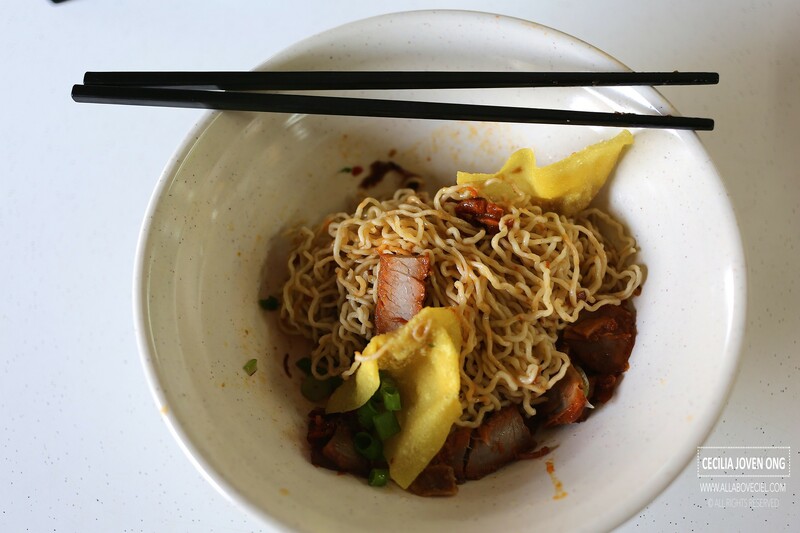 They expanded from their main outlet at Block 504 Jurong West Street after been there for about 6 years serving their signature Kolo Mee and Sarawak Laksa. It was a raining afternoon when i got there for lunch. I was first greeted with a smile when approaching the stall to make my orders. I decided to go with their signature Kolo Mee at $3.50 though a larger portion is available at $4 with their Sarawak Laksa at $4. I was then asked to take a seat while they will serve it to the table. The waiting time was a brief one, both orders were served at the same time. 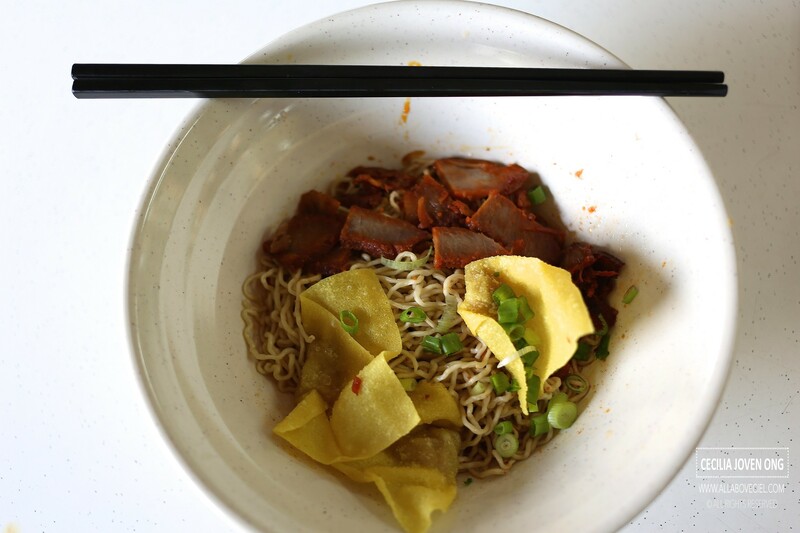 The presentation of the Kolo Mee was not too appetising and he portion of Kolo Mee seemed a abit too little with ingredients like slices of char siew and fried dumplings with bits of chopped spring onions. I will expect it to have a bit of fried pork lards to enhance its flavor but it has none. Though chilli is added but its level of spiciness is so mild that i could almost taste any as it was dominated by an intense tomato taste, likely to be the result of too much tomato sauce added. Apparently, the Sarawak Laksa fared a bit better as compared to the Kolo Mee. 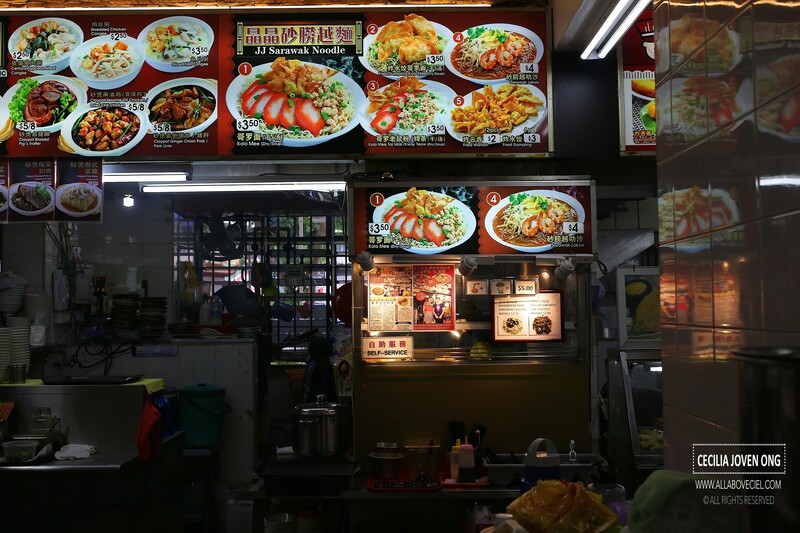 It tasted really different from our local laksa, in fact, it tasted a bit like the Curry Mee that i had in Penang. 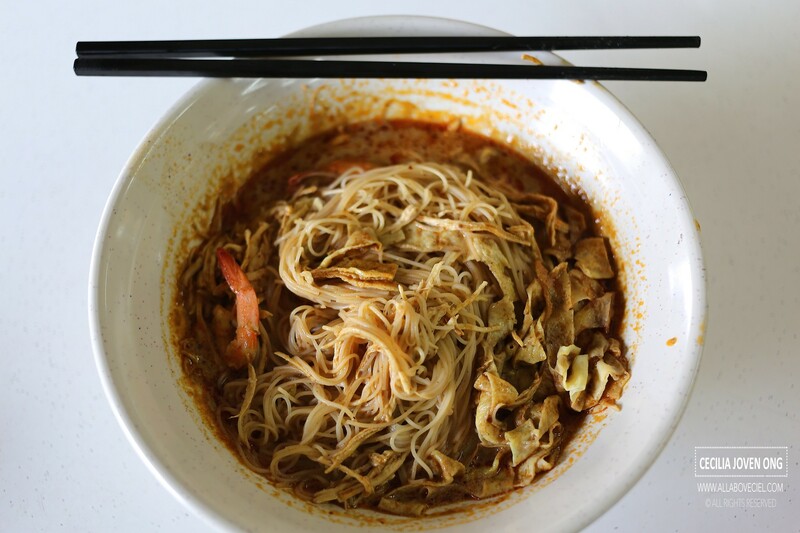 It has a rather mild spiciness with a comforting curry flavor served with bee hoon and ingredients like shredded chicken, dried beancurd strips and prawns. The prawns did not taste too fresh though. To conclude, i have never travel to Sarawak and i would not know how authentic are their noodles and perhaps so, i do not know how to appreciate as i was told they have regular supporters from their hometown. 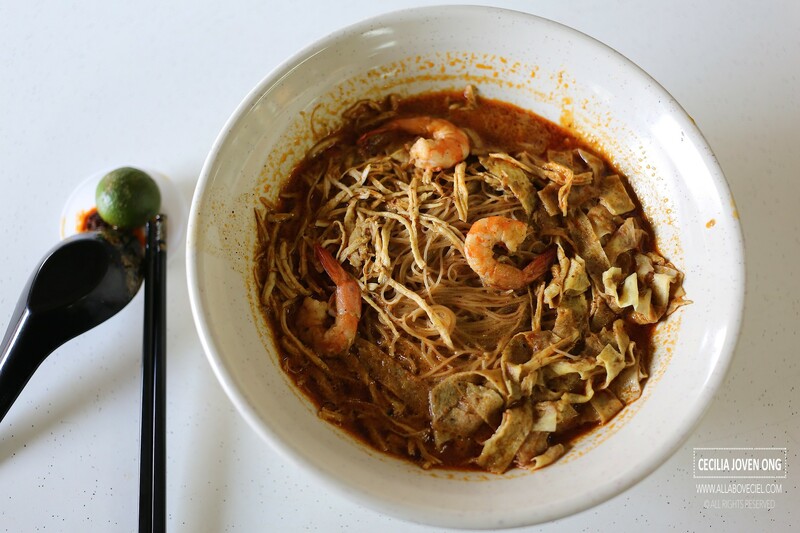 Anyone tried the Sarawak laksa recently? I have yet to visit and would like to bring my family there soon.